For discerning individuals with a dream to realize, Royal Huisman gives expression to their dream, by creating a yacht that is unique in conception, quality and execution, celebrating the Spirit of Individuality. 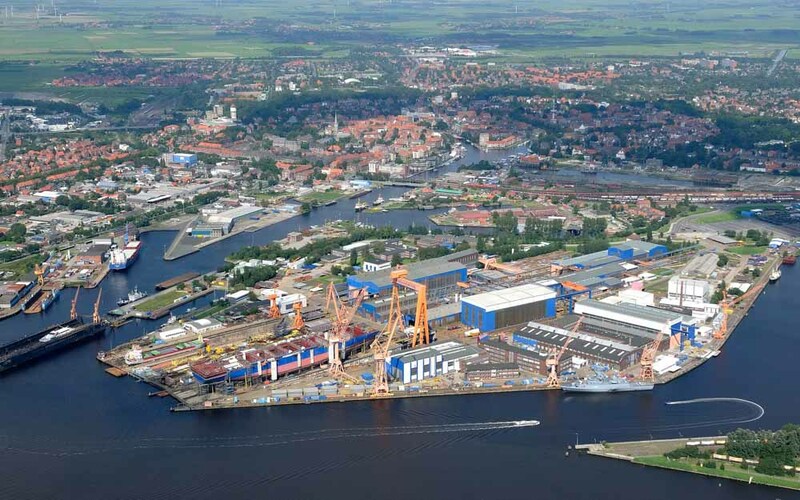 Royal Huisman employs a team of over 330 highly motivated and skilled people, from shipwrights to concept designers, with extraordinarily diverse experience and capabilities, working at a custom-build shipyard on a premises of more than 30,000sqm. Founded in 1884 Royal Huisman has evolved from modest builder of wooden workboats to multiple award-winning creator of some of the finest superyachts in the world. Royal Huisman is an extraordinary blend of 21st century technology and innovation, traditional craftsmanship and timeless values. The combining factor between employees, the yard as well as customers? They are perfectionists. 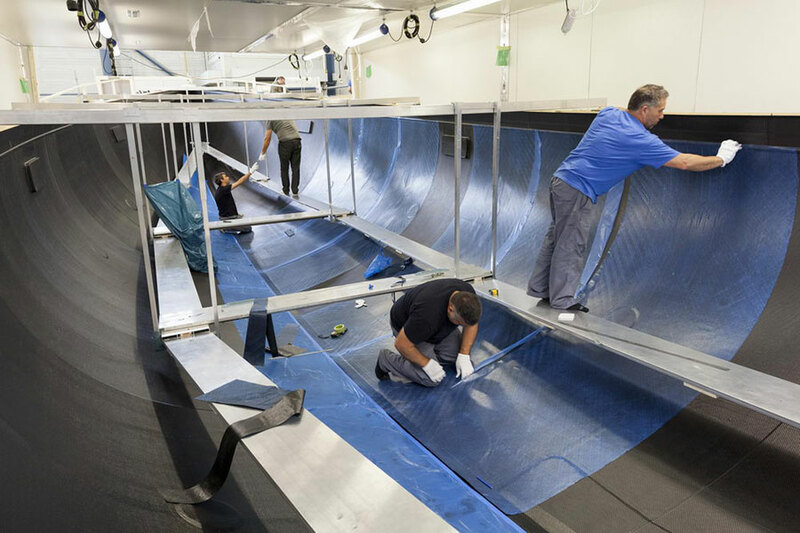 Owners welcome the reassurance that the Royal Huisman team believes firmly in standing behind its work, providing expert advice, service and support worldwide, twenty-four hours a day, not only throughout the warranty period but far into the future. 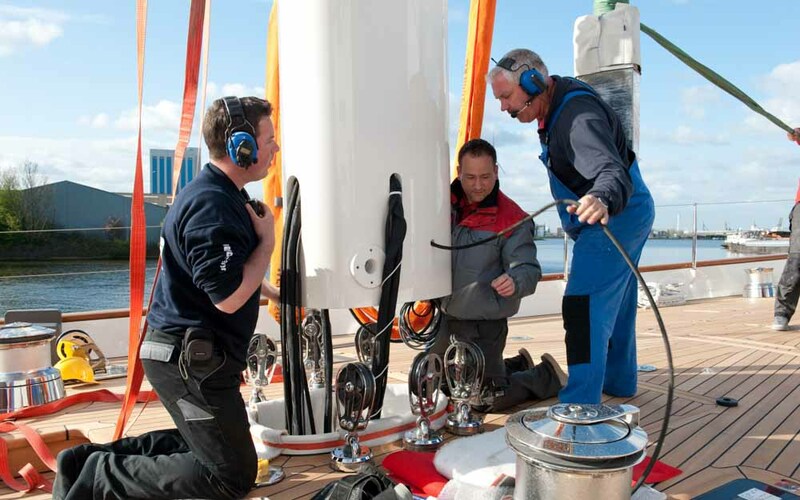 Every yacht requires refitting and refurbishment from time to time. 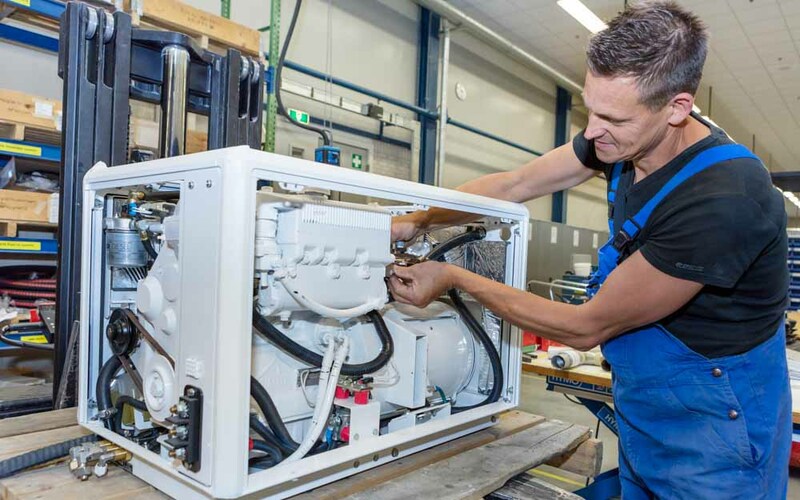 Huisfit, Royal Huisman’s dedicated refit department, offers everything from cosmetic repairs to hull and interior modifications, as well as machinery, systems and rig overhauls, the updating of electronics, and more. Including the necessary in-house design to support these services. 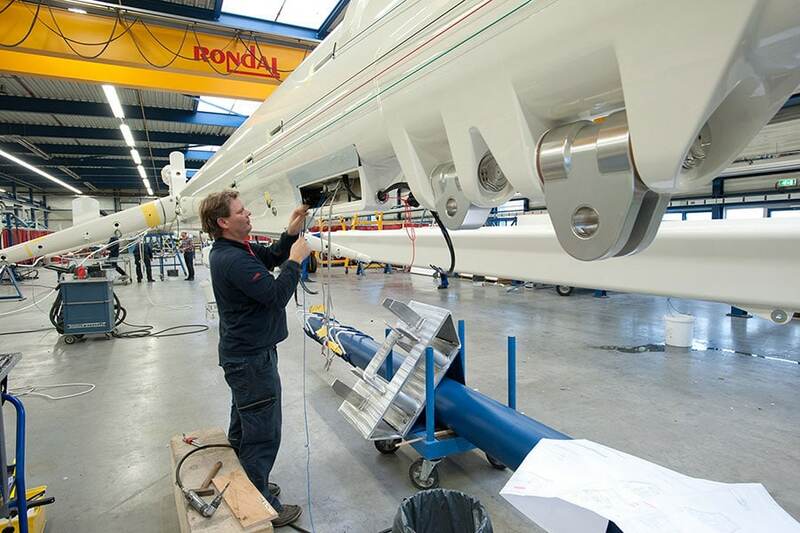 A Huisfit-refit carries with it the assurance of a “better than new” result. 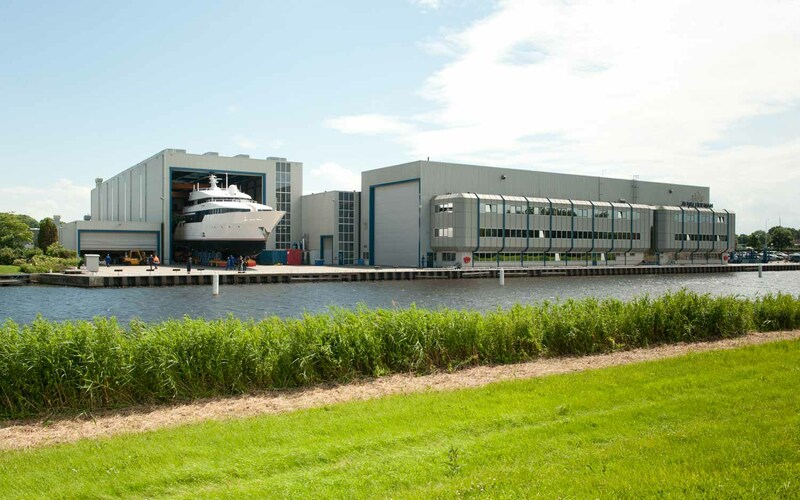 With three exclusive locations at Huisfit’s disposal, any yacht can be accommodated, whether motor or sail, classic or contemporary, aluminum, steel or composite, whether 30m or 150m. A Huisfit takes place in purpose built, state of the art halls and comes with well-equipped offices, canteen facilities and comprehensive support services. 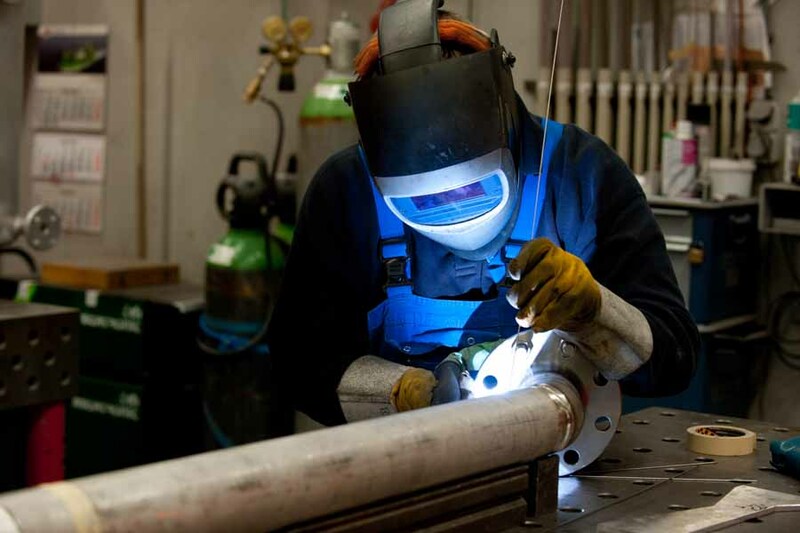 Numerous individual facilities for Carbon composite construction, interior and system engineering, mast construction, joinery, hydraulics, hatches and deck equipment. 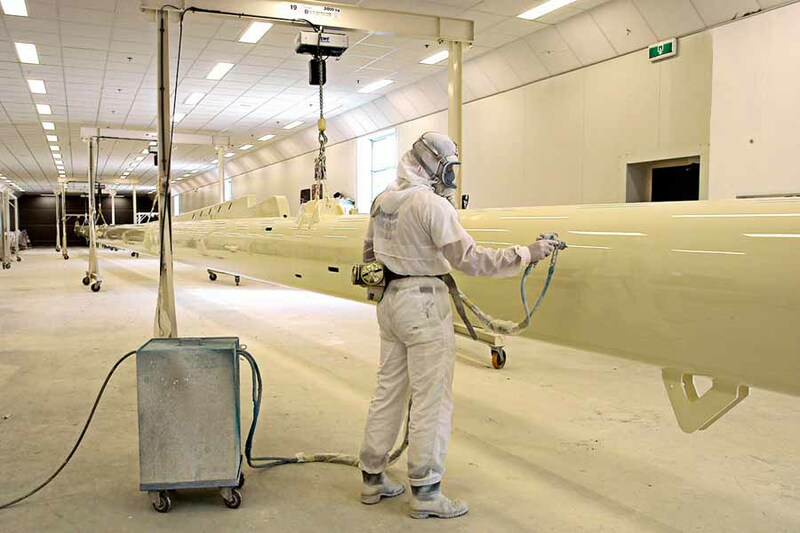 Huisfit has already proven to be the refit service of choice for yachts such as Eos, Skat, Samurai and Adèle as well as for numerous Royal Huisman-built yachts including Hyperion, Antares, Arcadia and Gliss. Meteor has booked her place for the Huisfit program in 2017/18, trusting that a Huisfit-refit delivers the well-known Royal Huisman quality on time and within budget.